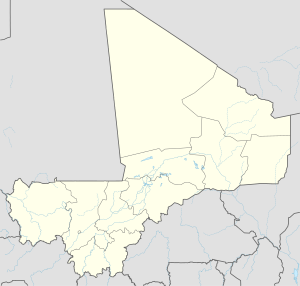 Banikane is a village and commune of the Cercle of Gourma-Rharous in the Tombouctou Region of Mali. The village lies on the right bank of the River Niger, 25 km downstream of Rharous. The commune extends on both banks of the river and includes 15 villages. 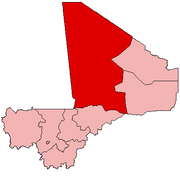 In the 2009 census the population of the commune was 9,433. Plan de Sécurité Alimentaire Commune Rurale de Benikane 2006-2010 (PDF) (in French), Commissariat à la Sécurité Alimentaire, République du Mali, USAID-Mali, 2006, archived from the original (PDF) on 2012-09-17, retrieved 2012-05-06 . Situation des points d'eau modernes au Mali en 2003: Benicane (in French), Ministère des Mines, de l'Energie et de l'Eau, République du Mali, 2003 [permanent dead link]. This page was last edited on 1 November 2018, at 20:56 (UTC).